In the course, students will learn fundamental techniques of data collection preparation, and analysis with digital trace data in the social sciences. In this, we will focus on working with the microblogging-service Twitter. Over the course, students will learn fundamental techniques of data collection preparation, and analysis with digital trace data in the social sciences. In this, we will focus on working with the microblogging-service Twitter. Over the course, students are expected to become proficient in the use of two programming languages, Python and R.
The course follows closely a tutorial written by Pascal Jürgens and me, A Tutorial for Using Twitter Data in the Social Sciences: Data Collection, Preparation, and Analysis. The tutorial is freely available on the Social Science Research Network (SSRN) at. I recommend all participants in the course to download the tutorial and the accompanying set of scripts available on GitHub. You will very likely profit from preparing the respective sections of the tutorial before and after the corresponding session. Jürgens, P. & Jungherr, A. (2016). 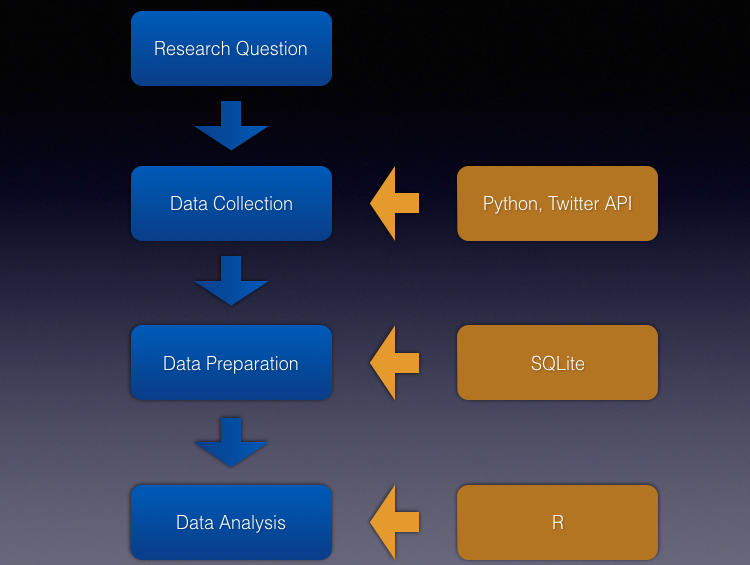 A tutorial for using twitter-data in the social sciences: Data collection, preparation, and analysis. Social Science Research Network (SSRN). doi:10.2139/ssrn.2710146. The articles in readings are linked to from the syllabus and should be available to you by using your Uni-Konstanz VPN-access. The books listed are not linked to from the document but should be available to you through the dedicated online services of the respective publishers. Books by O’Reilly, PACKT, and Apress are available through the Proquest Safari-Books Online-Shelf. Access to Safari-Books Online is freely available by using your Uni-Konstanz VPN-access. Andreas Jungherr is Juniorprofessor (Assistant Professor) for Social Science Data Collection and Analysis at the University of Konstanz, Germany. His research addresses political communication with a focus on the use of digital technology by organizations. His work realizes the potential of computational social science and addresses methodological challenges in its integration into the social sciences. He is author of the books Analyzing Political Communication with Digital Trace Data: The Role of Twitter Messages in Social Science Research (Springer: 2015) and Das Internet in Wahlkämpfen: Konzepte, Wirkungen und Kampagnenfunktionen (with Harald Schoen, Springer VS: 2013). His articles have appeared in, among other places, Review of International Political Economy, Journal of Communication, Journal of Computer-Mediated Communication, Party Politics, The International Journal of Press/Politics, and The Social Science Computer Review.